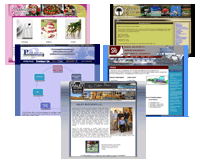 Computer Networking, Repair, and Website Design Foley Al. TO ENABLE AND ENHANCE YOUR ORGANIZATION’S SUCCESS. As a local Baldwin County Alabama resource, we can take the time to get to know you and your business personally. That gives us a distinct advantage in delivering the right service solutions and support when and where you need it. Our company’s golden rule is to treat customers in the same manner as we would like to be treated. In doing so, we guarantee a long and successful business relationship. If you have any questions please do not hesitate to contact us.